The CityLifeStylist: Miang: My Favorite Thai Appetizer-Turned-Main Dish! Miang: My Favorite Thai Appetizer-Turned-Main Dish! During our visit to the towns in the outskirts of Bangkok, we got to try Miang, a flavorful Thai dish. Actually, it was more of an appetizer, but I loved it so much that I ended up having it as my main dish! 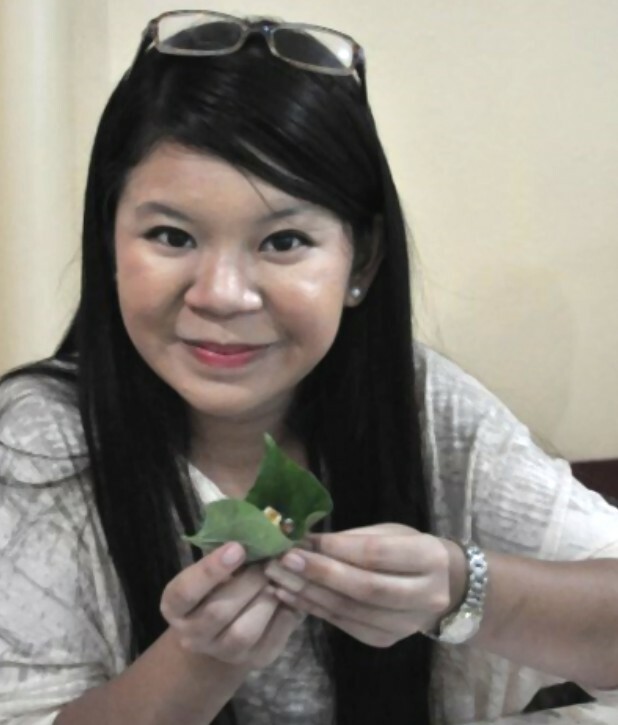 Robyn Eckhardt of Eating Asia wrote the perfect description of Miang. It can give you a "taste of central Thailand in one neat bite: heat from fresh ginger and shallots, tartness from lime, saltiness from peanuts, and sweetness from toasted coconut and a jam-like sauce made from palm sugar, tamarind, and fish sauce." The sauce I tried, on the other hand, was said to be made of tamarind, coconut and peanuts. 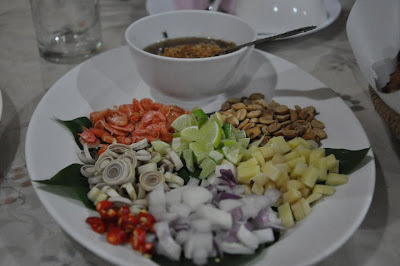 The choices of filling also included lemongrass, chili, and small dried shrimps. 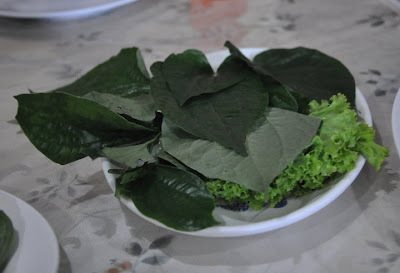 Miang is served with piper betel leaves. Each leaf is formed into a cone into which a little of each ingredient is tossed. After pouring a teaspoon of sauce into the cone, the leaf can already be folded closed and popped into your mouth. I enjoyed it a lot because it was bursting with flavor! Definitely a feast for the taste buds. I preferred mine with ginger, lemongrass, lime, shallots and peanuts. Eckhardt said it is widely available as a street snack and as an appetizer at upscale restaurants. I wish we had street snacks that are as healthy and yummy as Miang! Ah, Miang... This is one Thai dish you definitely shouldn't miss.